Csilla Muscan interviews Music Marketing for the DIY Musician author Bobby Borg! There has never been a greater need for practical DIY marketing advice from a musician who has been there and succeeded than now – at a time when new technologies make it more possible than ever for musicians to attract attention independently and leverage their own careers, and record industry professionals look exclusively for developed artists who are already successful. Written by a professional musician for other musicians, Music Marketing for the DIY Musician is a proactive, practical, step-by-step guide to producing a fully integrated, customized, low-budget plan of attack for artists marketing their own music. In a conversational tone, it reveals a systematic business approach employing the same tools and techniques used by innovative top companies, while always encouraging musicians to stay true to their artistic integrity. It’s the perfect blend of left-brain and right-brain marketing. This book is the culmination of the author’s 25 years in the trenches as a musician and entrepreneur, and over a decade in academic and practical research involving thousands of independent artists and marketing experts from around the world. The goal is to help musical artists take control of their own destiny, save money and time, and eventually draw the full attention of top music industry professionals. It’s ultimately about making music that matters – and music that gets heard! Radio legend Joe Franklin interviews radio legend Bob Elliot, one of the two subjects in David Pollock’s Bob and Ray, Keener Than Most Persons. Enjoy! Bob and Ray, Keener Than Most Persons traces the origins and development of the pair’s unique sensibility that defined their dozens of local and network radio and TV series, later motion picture roles, Carnegie Hall performances, and hit Broadway show Bob and Ray – The Two and Only. Together for 43 years (longer than Laurel and Hardy, Burns and Allen, Abbott and Costello, and Martin and Lewis), the twosome deflected all intrusions into the personalities behind their many masks and the dynamics of their relationship, and rarely elaborated on their career trajectory or methodology. Now, with the full cooperation of Bob Elliott and of Ray Goulding’s widow, Liz, together with insights from numerous colleagues, their craft and the culture that made them so relevant is explored in depth. Dale Sherman, the author of KISS FAQ, can now be seen in these excerpts from a Japanese Documentary Special about KISS. Enjoy! Since 1973, KISS has recorded over 20 studio albums; been recognized as an innovator in rock presentations; witnessed a firestorm of rumors and controversies; remained a thorn in critics’ sides; and continues to surprise its massive fan-following, the KISS Army, with various career twists and turns. Moreover, many television shows, movies, toys and even comics have kept KISS a bigger-than-life name in entertainment for decades. Yet with all that has been written over the years, there are subjects that fans have never put to rest when it comes to the “hottest band in the land”: What were the most significant concerts? Why did Phantom of the Park turn out that way? What were the best – and worst – album covers? How did the comics come about? And what the heck is a deuce? 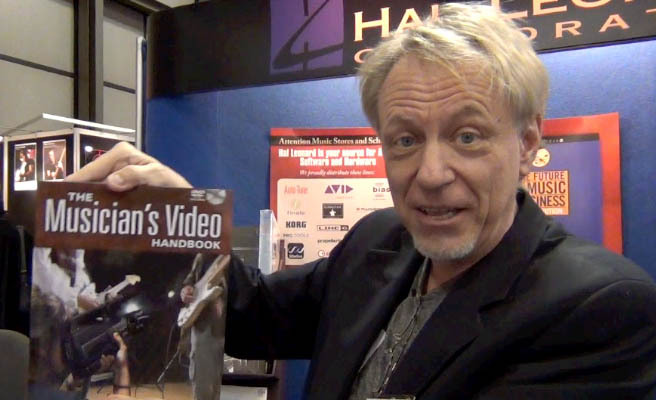 Hal Leonard has started a new video series of author video chats with MusicPro Guides and Quick Pro Guides authors, which you can view at MusicPro Guide’s YouTube channel. Today, we launch the first two with Jake Perrine, the author of Quick Pro Guides books Producing Music with Ableton Live and Sound Design, Mixing, and Mastering with Ableton Live. Here, he is interviewed by Bill Gibson, Hal Leonard editor and author. Learn to make electronic dance music with the innovative application that started – and is still leading – the revolution! Start producing your own music from the ground up! Ableton Live is a groundbreaking program whose unique nonlinear, incredibly flexible features set it far apart from all the other digital audio applications. It is equally at home with making beats, remixing, live recording, DJing, live looping, sound design, electronic music, hip-hop, and much more. Go beyond the basics of Ableton Live with this book of audio making and mangling recipes, tips, and mixing/mastering techniques. Ableton Live is undoubtedly the most flexible audio application available today: Use it for sound design for music, film, theater, and games; composition; improvising with other musicians; live looping; DJing; and of course mixing and mastering music. Author, mastering engineer, certified Ableton trainer, and power-user Jake Perrine will inspire you to use Live in new ways, and to improve how you already use it. Striking a delicate balance of artistry and theory, he will expand your repertoire for both the studio and the stage. How many people have you reached with your message? How many could you have reached? In social media, there are some measurements about as reliable as a print magazine’s circulation, but knowing your potential audience does have value because it represents your potential sales lead pool. Unfortunately, as of the writing of this book, some of these metrics have to be accounted for manually, so you’ll have to balance the level of effort to track the metrics versus the value you’ll receive from them to determine their importance to your overall strategy. A good example of where there can be unreliability in social measurement is when isolating unique users for each of your metrics. You want to avoid counting the same person twice in the list below, but realistically it’s difficult to do. These measurements highlight the number of people you’ve attracted to your brand through social media. To mitigate the potential for duplication of users, track growth rate as a percentage of the aggregate totals. This is where you will find the real diamonds. Twitter: Look at your number of followers and the number of followers for those who retweeted your message to determine the monthly potential reach. You should track these separately and then compare the month-over-month growth rate of each of these metrics so you can determine where you’re seeing the most growth. A great free tool to use for Twitter measurement is TweetReach. Facebook: Track the total number of fans for your brand page. In addition, review the number of friends from those who became fans during a specified period of time or during a promotion and those who commented on or liked your posts to identify the potential monthly Facebook reach. Facebook Insights provides value here. YouTube: Measure the number of views for videos tied to a promotion or specific period of time, such as monthly, and the total number of subscribers. 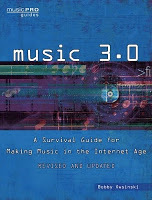 Music 3.0: A Survival Guide for Making Music in the Internet Age is a completely updated edition of the original best seller, featuring the latest music business and social media concepts as well as brand-new interviews with a variety of the industry’s top movers and shakers. What has changed? Who are the new players? Why are traditional record labels, television, and radio no longer factors in an artist’s success? How do you market and distribute your music in this new world? How do you make money in this new music world? How do you develop your brand? How do you use Facebook, Twitter, and YouTube as marketing tools? What are the new technologies that are being introduced that will influence how we sell or market? All these questions are answered in the book. This edition also contains new low-cost high- and low-tech tips for marketing and promotion. Available for purchase here. 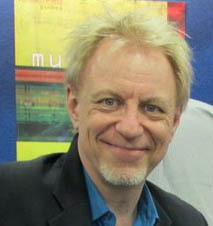 For more Hal Leonard Books by Bobby Owsinski, visit his page at musicproguides.com. With almost 1.4 million upload views and 2,800 subscribers, Hal Leonard’s MusicPro Guides channel on YouTube has become an indispensible resource on the web for musicians, songwriters, music engineers, producers, and other music industry professionals. Named after Hal Leonard Books’ highly respected series MusicPro Guides, this YouTube channel brings together the most experienced and highly regarded authors to teach you everything you need to know about audio engineering, recording, software, songwriting, equipment, and more. These tutorials will help you see, hear, and easily understand the concepts, tools, and procedures you need to master. Many music industry books from Hal Leonard Books include accompanying DVDs. The MusicPro Guides YouTube channel gives you free access to excerpts of DVDs, as well as web originals. In celebration of the Audio Engineering Society conference this year, MusicPro Guides will be hosting a giveaway on YouTube. All new subscribers between October 18th and October 26th 2011 will be entered into the drawing. Previous subscribers can enter by making comments on two videos between those dates. Winners will be announced in a video following the end date. Prizes include bundles of books such as a producer pack, an engineer pack, and a music business pack. Winners will receive four books of their choice (up to a $200 value per winner).